This is a very drought tolerant tree that makes a lovely accent in any hot and dry southwest landscape once it is established. Pyramidal when young, becoming more columnar with age, it has pretty blue green needles and small cones (about the size of a golfball). Its needles are dark green up to 3″ long and its reddish bark makes nice contrast. This is a very hardy tree that grows moderately fast. 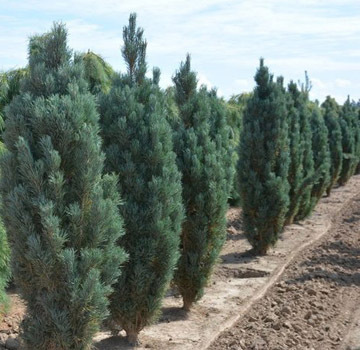 The Scotch pine or “Scots” pine shown above is a selection named Pinus sylvestris ‘Fastigiata’ that is a perfect specimen for a narrow spot in a landscape that allows for full sun exposure. 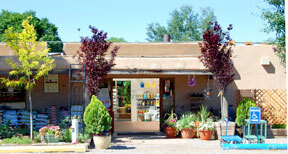 It’s a fast grower and drought tolerant when well established.